The Windward was undergoing an extensive outdoor facade restoration. 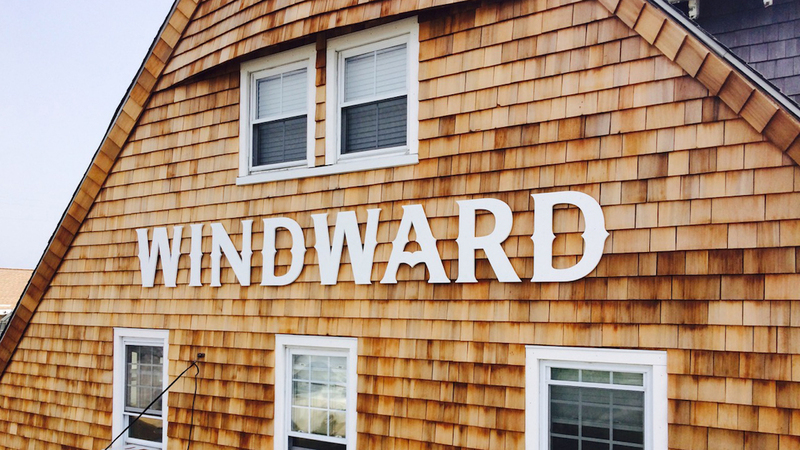 As a historic place, the goal was to preserve and restore the original sign letters, utilizing a durable, modern sign material. We carefully hand digitized each of the well worn, 100 year old letters, and recreated them in satin PVC on our CNC router. We carefully stud mounted the letters with stainless steel mounts, to allow the wall shakes to breathe and give added dimension.